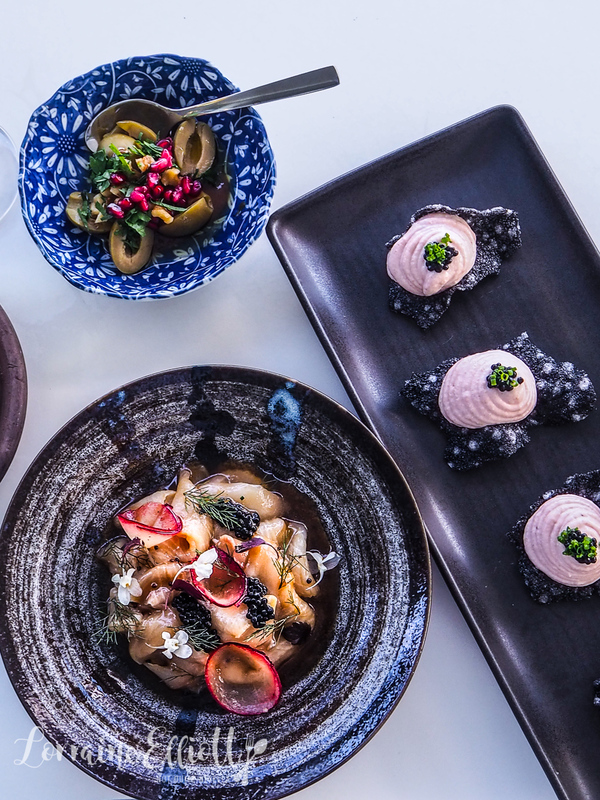 Jaaks is a hidden away secret in the Sutherland Shire serving up Ottoman empire dishes. 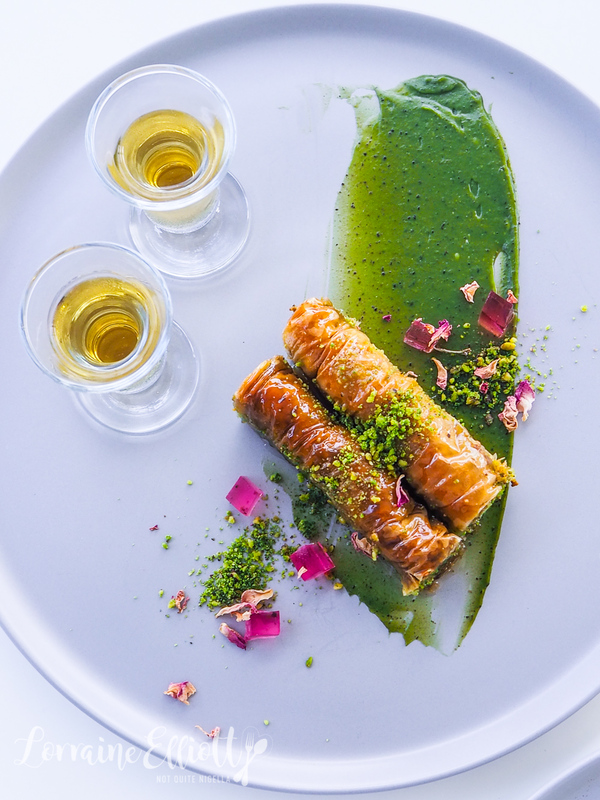 With a Turkish and Cypriot Greek menu and wine list there are dishes like Golden Beetroot Hummus, Spanakorizo, Labneh with Chilli Burnt Butter, syrupy Pistachio Baklava with Rose Jelly and a delicious carmelised milk pudding called Kazandibi. And if you're feeling like offal, try the traditional Sheep's Head Soup! "Where's Kyle Bay?" is the question that Mr NQN asks me. I have to admit that I have little idea and have to look it up. 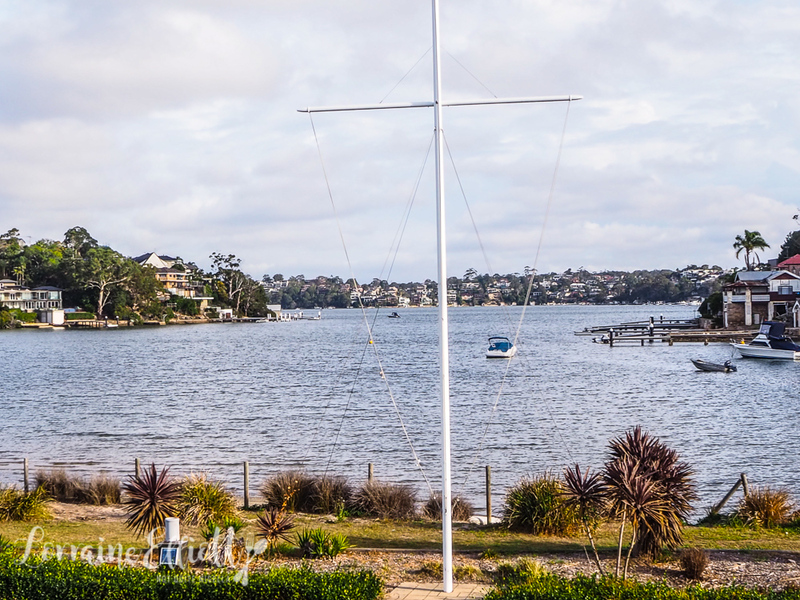 It's a picturesque location on the Georges River near Kogarah. 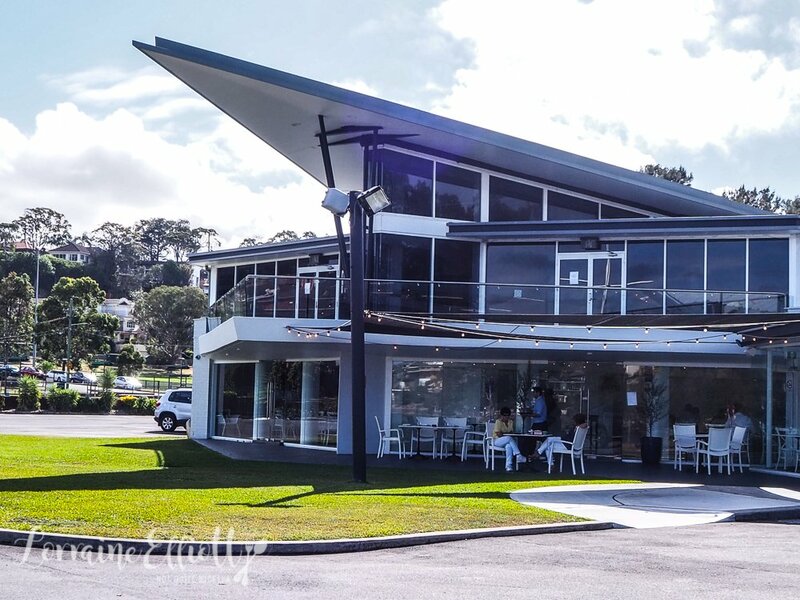 What was formerly an orange bricked bowling club has now turned into a boat shaped white glass fronted building with a restaurant called Jaaks. 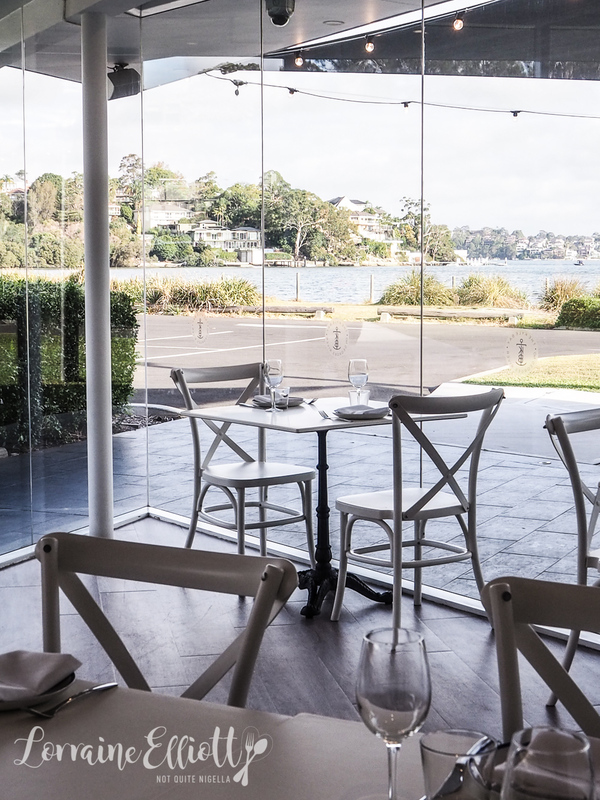 The Kyle Bay is the name for the whole building including the private dining room and function spaces. The chef at Jaaks is someone that I've followed for a few of his restaurants. 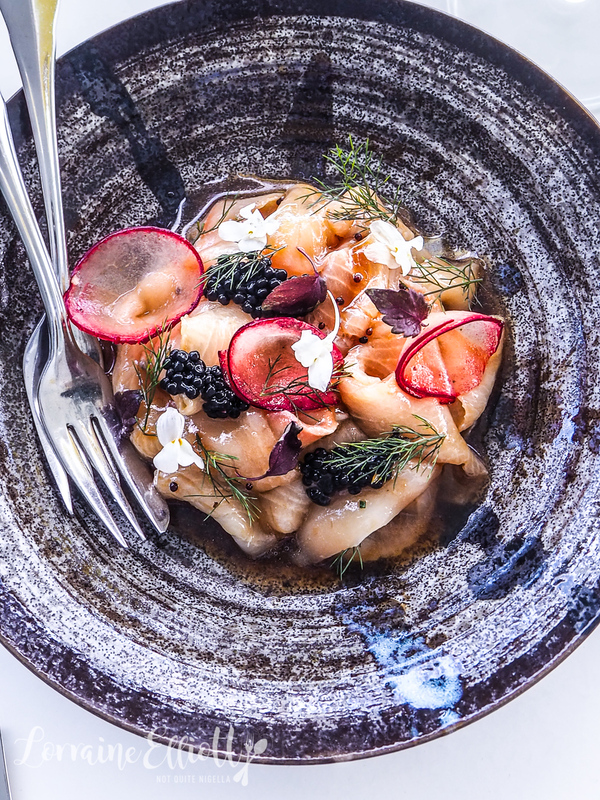 Arman Uz is a quietly spoken chef that is obsessive about fresh seafood. 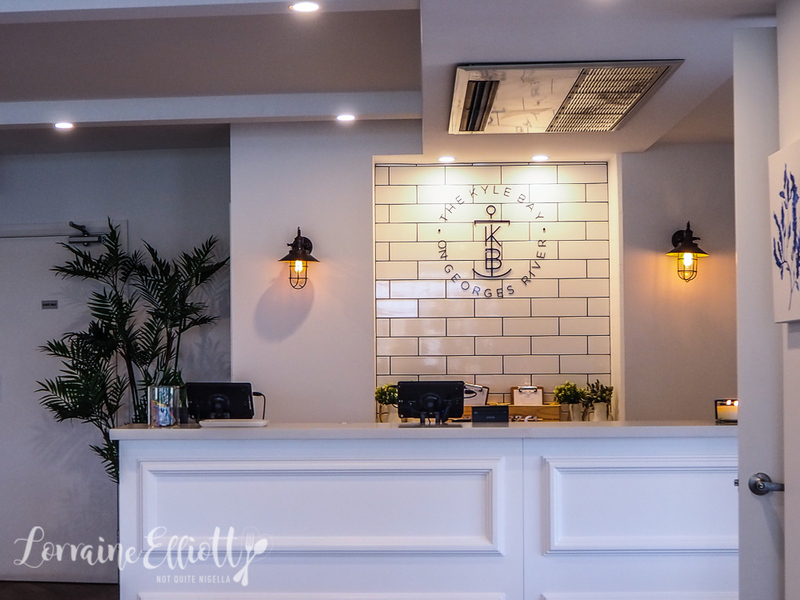 Arman's heritage is Turkish but the owners of Jaaks (whose names Jordan, Alannah, Anya, Kosta and Sienna spell Jaaks) are Cypriot Greek and the menu reflects both cultures. "Ottoman cuisine has no recipes and it's passed on from generation to generation. There are no written recipes to follow," explains Arman. The food menu changes daily according to the fish that he can get while the wine list has a good range of Greek wine varietals like Xinomavro, Malagouzia and Agiorgitiko. Service here is really lovely and accommodating. Whatever you do you simply must get some dips and the village bread. The warm Turkish village bread is scattered with nigella seeds and comes with split brined green olives with a deliciously sweet and creamy tahini and pomegranate molasses base, pomegranate arils and herbs. My only stipulation? You may want to order one round of bread each, especially if you order the dips. The dips are fantastic. It's hard to pick a favourite from the two that we try. 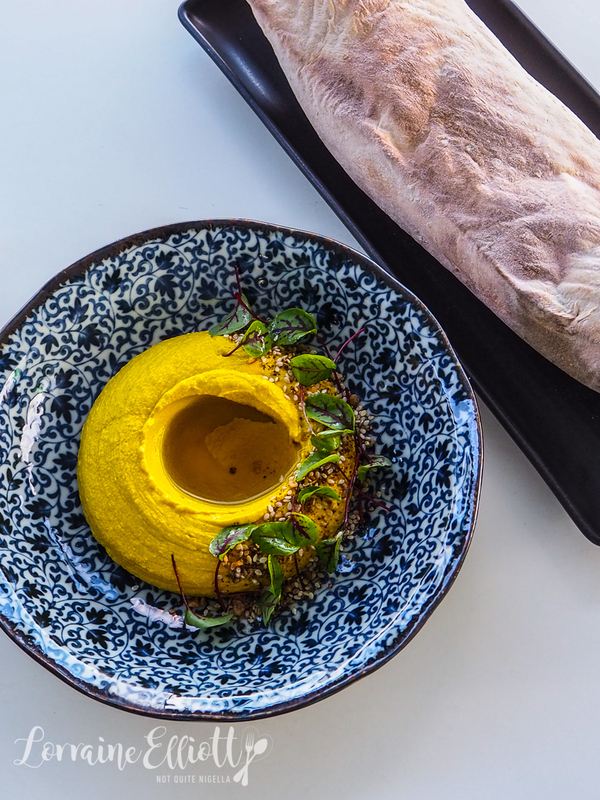 The golden beetroot hummus is given an extra sunny hue from the turmeric as well as crunch from dukkah and is finished with Greek olive oil. Arman says, "Humus is my childhood favourite. Where I grove up (in Tarsus) there was no McDonalds. One of our fast food options was a little humus shop run by an old guy who used make humus by hand fresh to order each time." 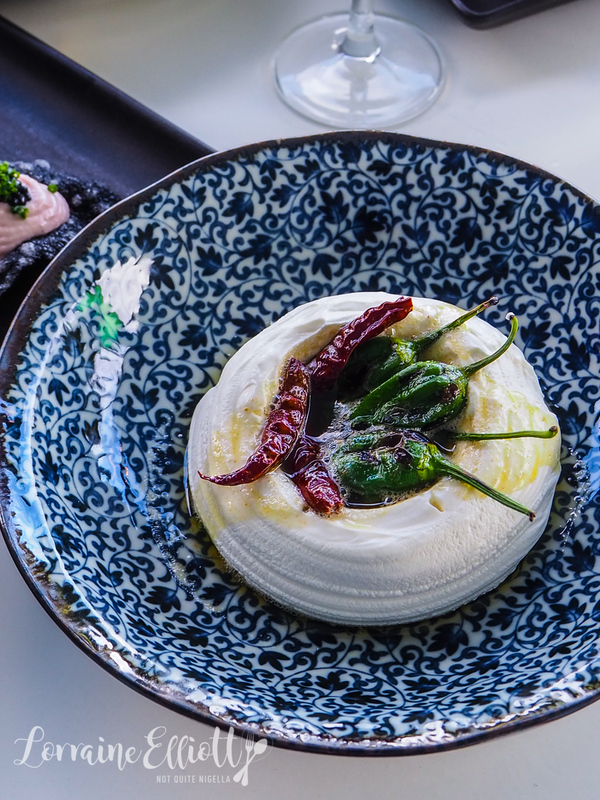 I adored the Atom, a thick labneh with a swirl of chilli browned butter and blistered chillies in the centre that are mild enough to pop in the mouth after brushing the labneh with a thick tear of bread. 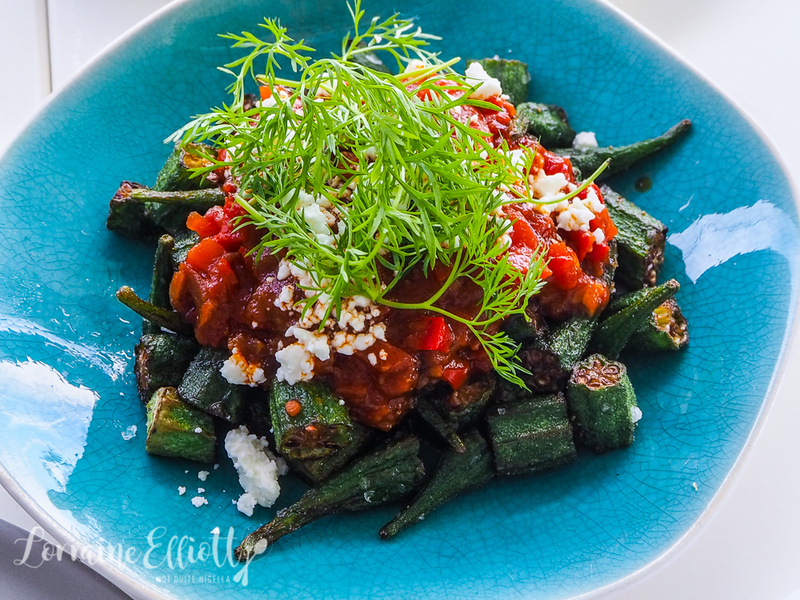 It is a traditional Aegean meze and the chillies are dried Marash chillies and fresh charred Padron peppers. 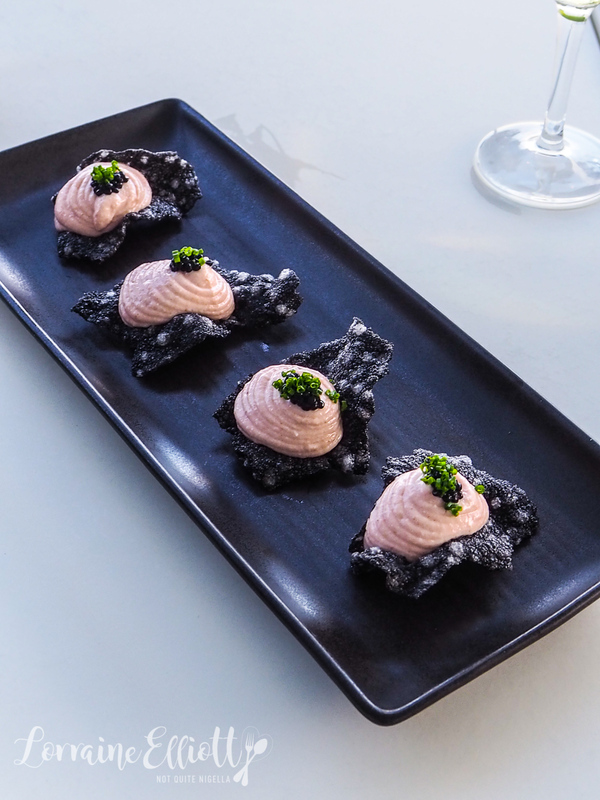 I always appreciate my friends for being patient as I take photos and this time I'm trying to hurry myself up as I desperately want to eat these squid ink crackers topped with creamy taramasalata, avruga caviar and chives. The Lazafanis Geometria Malagouzia wine that the starters are matched with is fantastic. I was curious about this dish. Arman explained that this was usually a soupy stew but this is a modern interpretation of the dish and is in fact two Greek Turkish dishes. The first is braised spinach with rice while the second one is spinach with fried eggs. 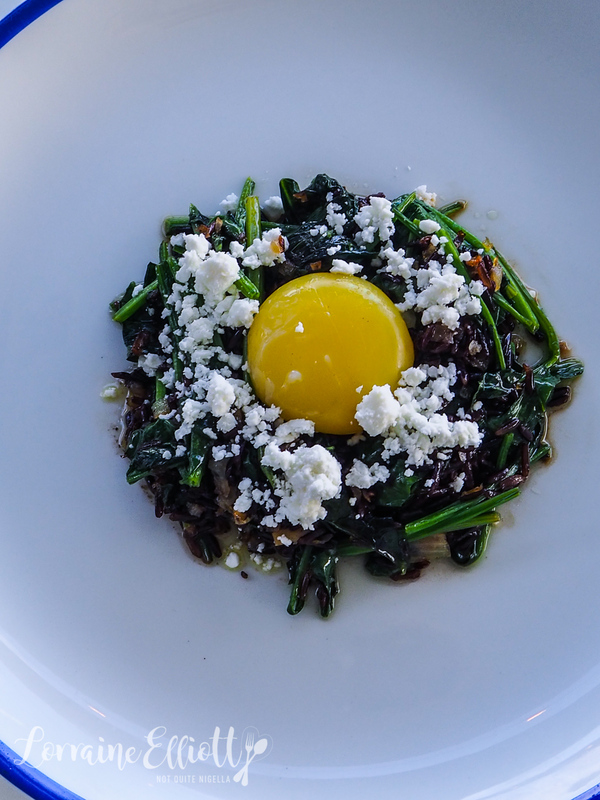 It is sauteed spinach, black rice, crumbled feta and a duck egg yolk that has been cooked at 40C for 1 hour. I did not think that I'd love this as much as I did but the black rice has a nutty flavour and texture and the feta gives it saltiness while the egg yolks gives it a perfect creaminess. Now a confession: I'm not a huge fan of Ouzo and I'm trying to get myself to like licorice more. But in this kingfish sashimi the ouzo is subtle enough for me not to be bothered by it. It has flavours like fennel, plum and it is all about freshness, that only being matched by how pretty it is. 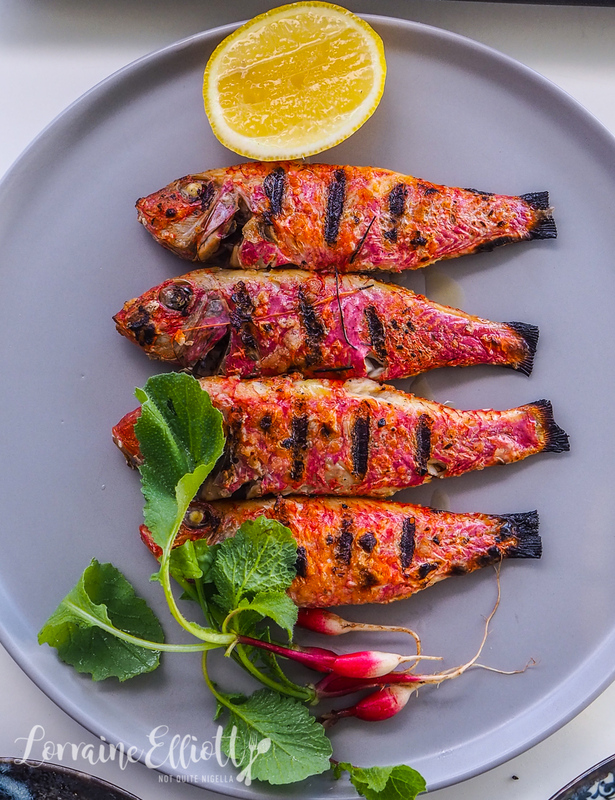 The char grilled barbounia is a simple way to cook seafood that brings out the flavour of the fish well. The barbounia from Coffs Harbour has tiny bones but is easy to fillet with a fork and knife and comes with buttered breakfast radishes on the side. It's a generous portion for the price as fish can often be quite expensive when eating out. This is my favourite main hands down. The octopus from Eden is twice cooked, first being steamed. Arman explains, "I'm against to boiling them in a pot which is actually a traditional method, that way octopus leaves all its ocean flavours into the boiling water. But by steaming them in a combi oven I protect all the ocean minerals." He then finishes it off in a hot iron pan with olive oil, chilli, garlic and ginger. 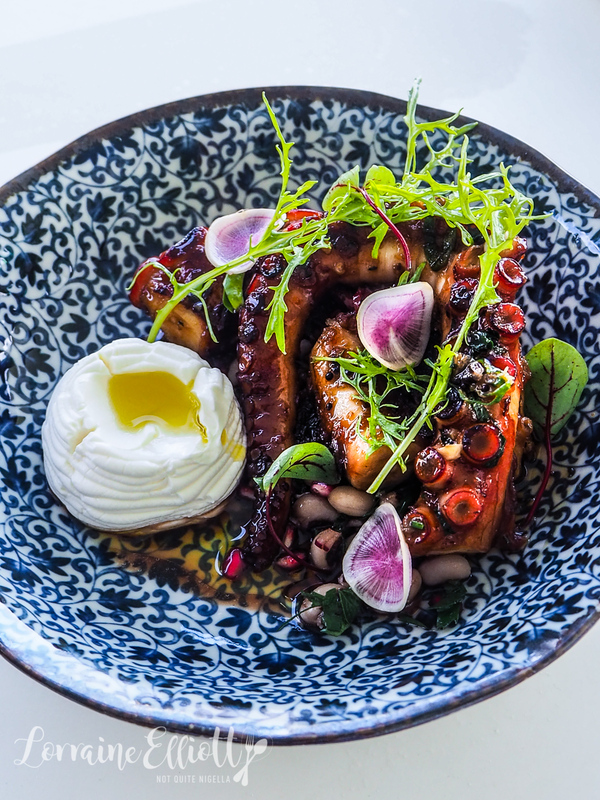 The octopus is so tender and it comes with an agrodolce (sweet sour) style of sauce with black eyed beans, chilli and a dreamy smoked yogurt. It's a beautiful dish that I cannot stop eating no matter how hard I try. 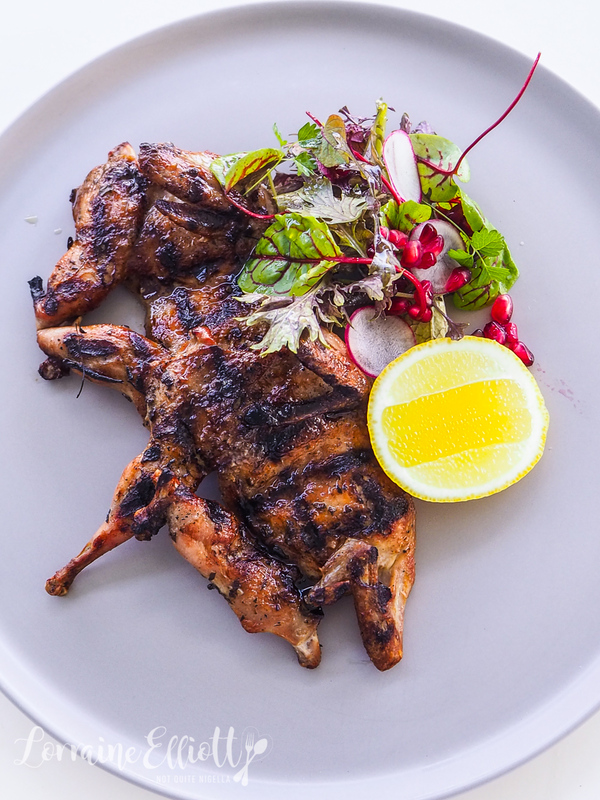 Like the barbounia, the flavours are kept simple on the char grilled butterflied quails with lemon and oregano. The quails are succulent, slightly sweet and perfectly cooked with a nice char flavour. 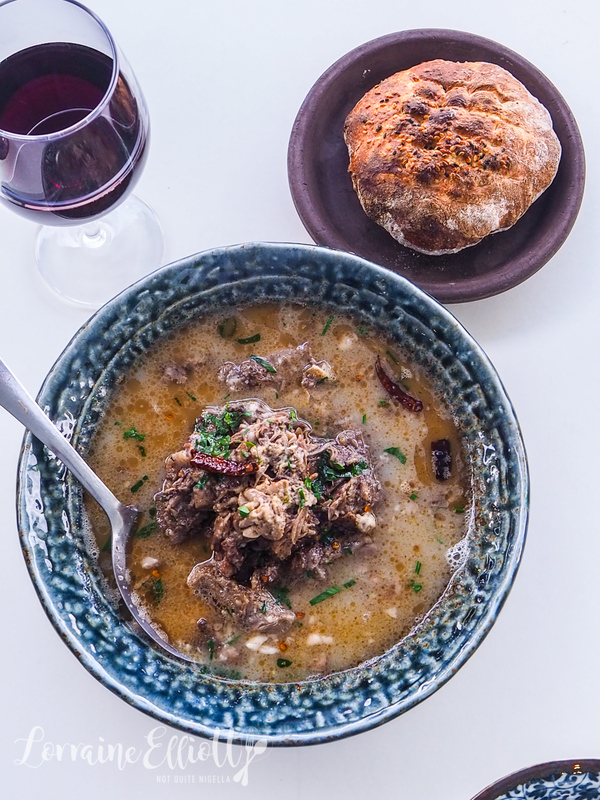 The sheep's head soup is a winter dish that is popular in villages where they would use up all of the parts of an animal. 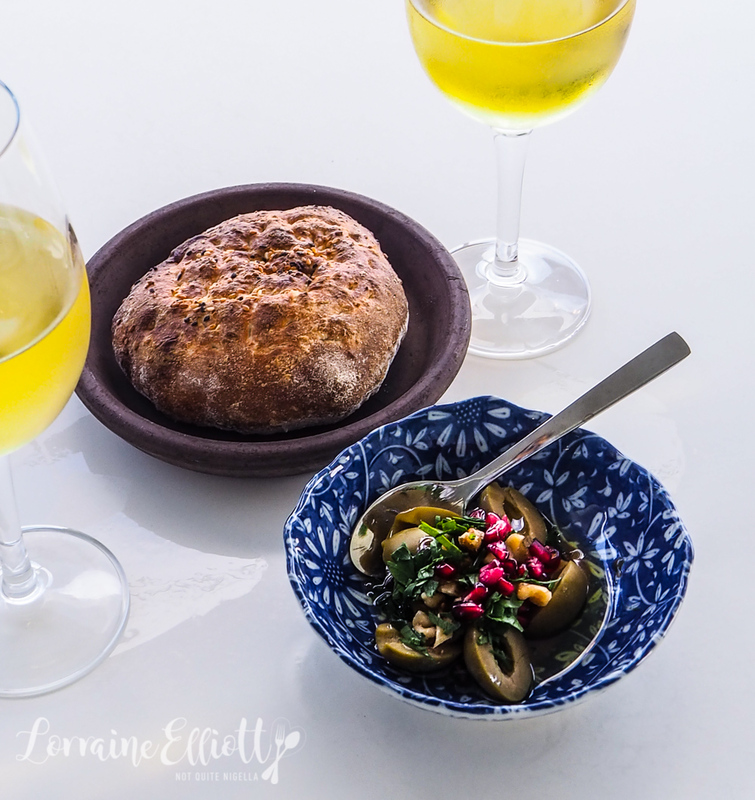 There's certainly cheek and brain in this soup and while the idea of this might sound rich, it is perfectly balanced with garlic and white wine vinegar. It comes with a round of Turkish bread to dip into the soup. They warn us that the garlic level is strong but maybe I'm so deep into garlic that I don't even notice an excessive amount of garlic. It's well worth trying, especially in the colder months. This is served with a glass of Agiorgitiko red wine, similar to a cab sav. There are two desserts on the menu: a kazandibi, a Turkish dessert made with milk and mastic giving it a gorgeous stretchy, thick texture. It's usually made with chicken breast (yes it's a dessert made with chicken breast) but here Arman doesn't use chicken. 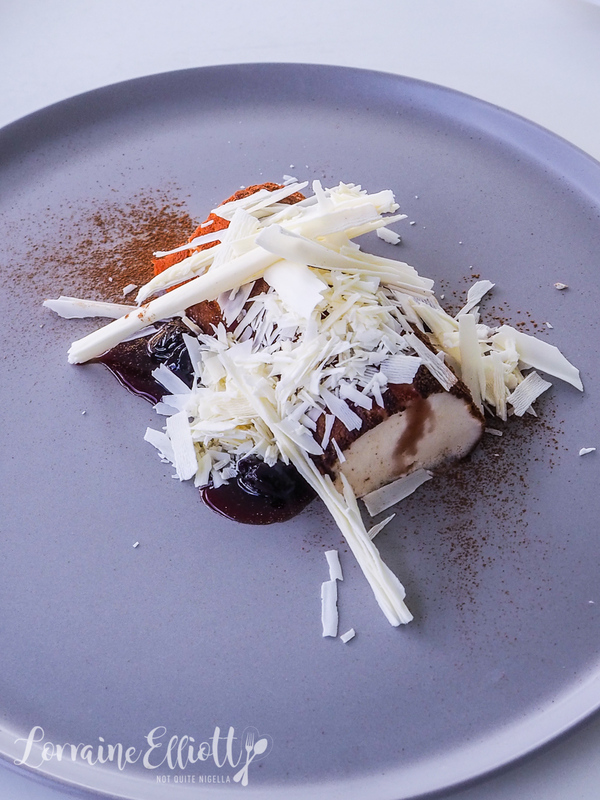 He makes it with milk and serves it as a cinnamon dusted log with cherry compote and shaved white chocolate. Usually it's served plain with cinnamon but this is a upmarket interpretation of it. I mentioned being deep into garlic so much so that I think my garlic radar is broken because there can never be too much. There can also never be too much baklava for me. Forget people that say they can only have one piece, I can easily devour six and only stop when people start to tell me that I'm alarming them. This baklava is a beauty. Admittedly I love Greek baklava which is more syrupy than Lebanese. This is filled with pistachios and comes with rose jelly cubes on the side and a pistachio ganache. They bring the desserts out with some Samos Island muscat wine, a lovely honeyed drop. And before we know it, we've been here hours and we hadn't even noticed. So tell me Dear Reader, do you like Ouzo? Are you deep into garlic? How about baklava? How many pieces can you eat? restaurantGet Me To The Greek Gyro!